In this article we explain all you need to know about Betfair Cash Out and Partial Cash Out including how to use both features, the key terms you should know about as well as an FAQ. Betfair Cash Out originates from the betting Exchange. Previously, if you were trading a sporting event and wished to Cash Out, you were forced to do the maths yourself and work out how much you needed to either back or lay. Now, Betfair do all the calculations for you. Betfair Cash Out allows you to lock in a profit or loss before an event has finished. Betfair do the calculations to offer you a real time value of your bet based on live market prices and with a single click you can ‘Cash Out’. You can Cash Out on singles and multiples on a wide range of sports including football and tennis as well as horse racing multiples bets, both pre-race and in-running. The feature is available online and on the Betfair mobile app wherever you see the orange ‘Cash Out’ icon on your bet slip and is open to all customers. Check out Betfair’s latest free bet sign up offer where you can claim £100 in free bets. Otherwise you can view a full range of Betfair promo codes for all products including casino, poker, bingo and exchange. 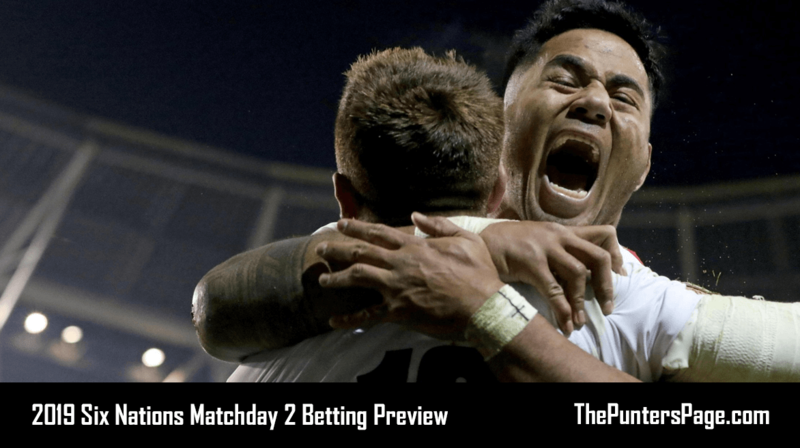 What Is Betfair Partial Cash Out? 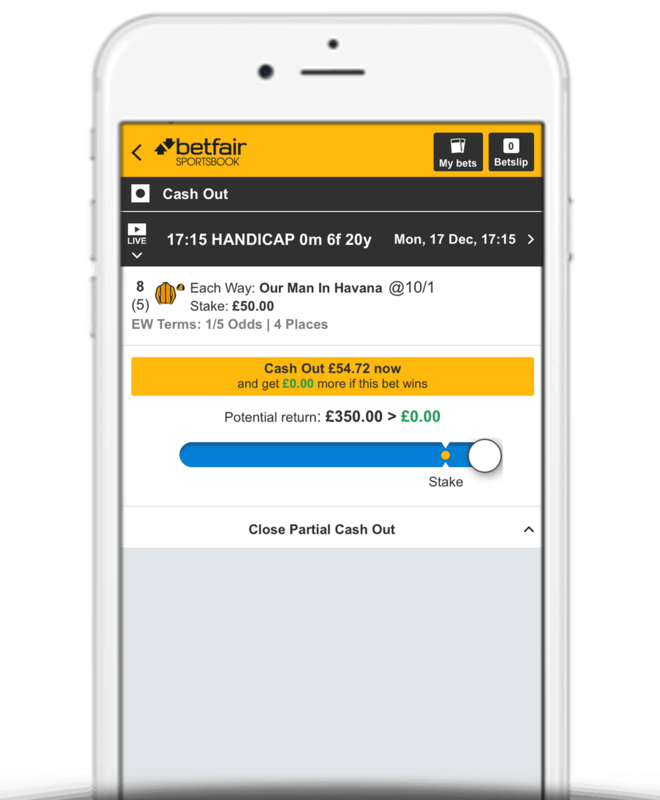 Betfair Partial Cash Out allows you to select exactly how much of the bet you wish to cash out whilst leaving the rest of your stake to run. To cash out part of your bet, simply open up the slider by clicking ‘Cash Out Part Of My Bet’ in the drop-down list and choose how much you wish to Cash Out. You can Cash Out as many times as you like on a single bet, providing that the Cash Out slider is available. The Cash Out icon is displayed for the markets where Cash Out is available. The Cash Out value displayed is the lowest amount you will receive if you make a successful Cash Out. Cash Out amounts are not guaranteed as they are based on the live Betfair markets where prices are constantly changing. 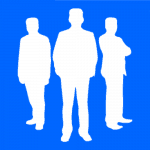 This means you may receive more than indicated or your Cash Out may be unsuccessful or only partially successful. 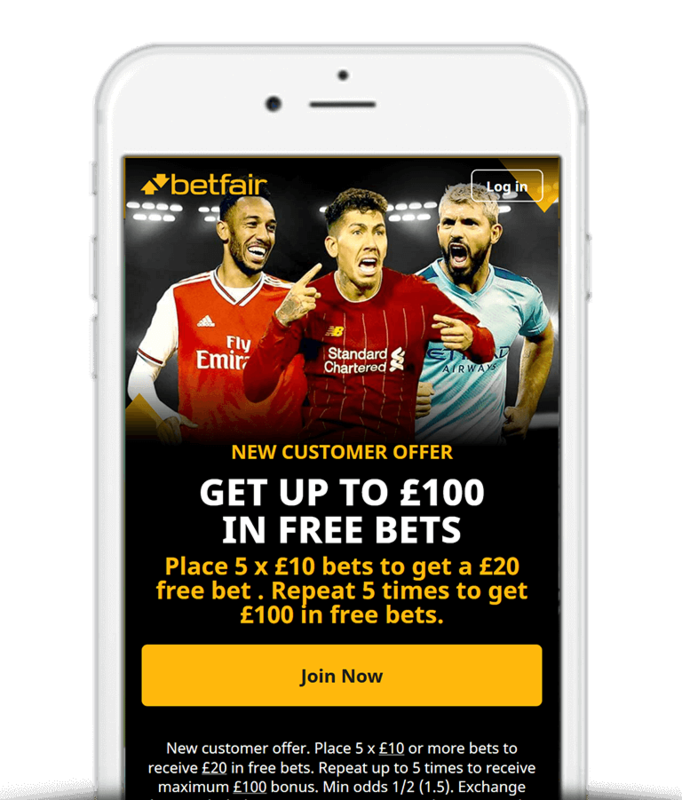 If a Cash Out is unsuccessful or partially successful then Betfair will offer you a new Cash Out amount based on your revised position and the current prices in the Betfair market. Below we’ve listed some of the most commonly asked questions regarding Betfair’s Cash Out feature along with the answers. What Is The Confirmation Screen & How Does It Work? The confirmation screen provides protection against accidental clicking of the Cash Out button. If you have the confirmation screen enabled and click the Cash Out button, you will see an overlay summarising your Cash Out position and will be required to confirm you wish to proceed. To manage whether the confirmation screen appears, go to the ‘Settings’ tab at the top of the Cash Out page. Why Does My Bet Not Appear On The Cash Out Page? Cash Out is available for certain bets. To ensure Cash Out is available for your bet, please check that all of the markets have the Cash Out icon next to them. Antepost bets and bets on Enhanced specials do not qualify for Cash Out. Does The Take Amount Include My Stake? The ‘Take’ amount is the total amount that will be returned to your account (including your stake) if the Cash Out is successful. When betting is suspended on a market, Cash Out offers for Singles on this market or for Multiples involving this market are also suspended. If the value of the Cash Out offer would be £0, the Cash Out offer is also suspended. During some In-Play events, delays are used to ensure that there is enough time to suspend the Cash Out when a major event occurs — such as a goal being scored. Why Wasn’t My Cash Out Successful? Cash Out offers are not guaranteed. If there is a sudden large movement in market prices, your Cash Out may be unsuccessful. If your Cash Out is successful you will see a Success message. If your Cash Out fails, you will see a Failure message and a new offer will appear. When a Cash Out is successful, any returns are credited to the account immediately. Betfair Cash Out originates from the betting exchange. Previously if you were trading a sporting event and wished to Cash Out, you were forced to do the maths yourself and work our how much you needed to either back or lay. Now, Betfair Cash Out do all the calculations for you so you can cash in a bet and guarantee a profit or loss before an event has finished.